My studio, The BEE Spot, was a-buzzing Friday night when a group of adorable young women came for a Ladies Night Out! Such fun! All are young mothers and they sure did enjoy being together, talking and crafting! Nothing better than a night out with your girlfriends! Each got a kit to assemble - and they all were very pleased with the results! If you haven't seen our All Inclusive Kits - be sure to check them out! 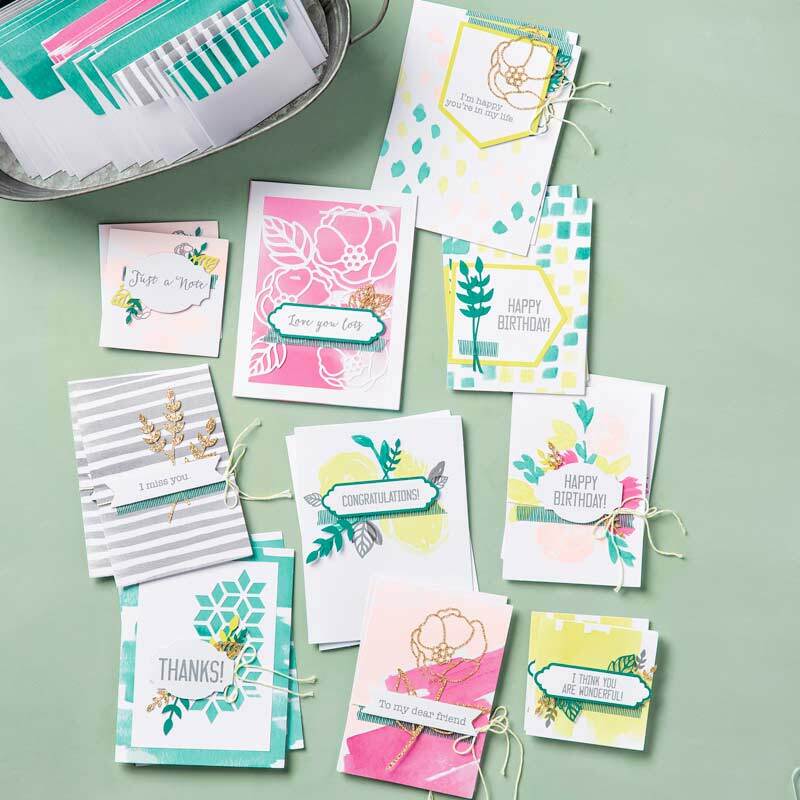 If you are new to crafting, or you just want projects you can put together quickly, our kits are perfect for just that! Everything is measured and cut and coordinated - so you can do the fun part - stamping, assembling! 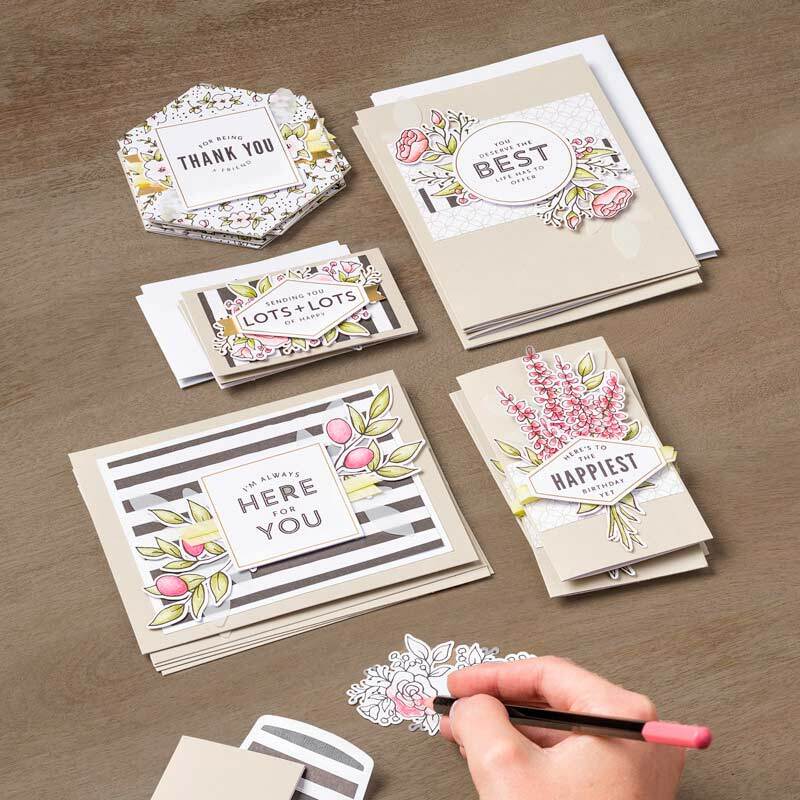 Lots of Happy Card Kit: If you enjoy coloring, this is a beautiful kit! 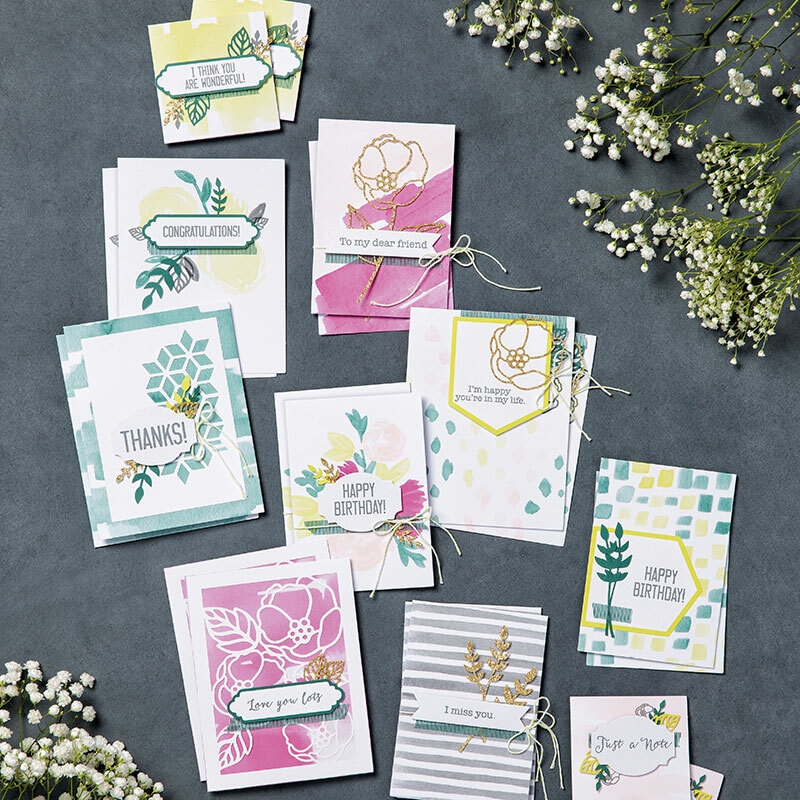 You'll make 20 cards in assorted sizes, and the kit includes an ink spot, a block and all the parts and pieces cut, prepped and ready for you to complete. You get some watercolor pencils to add beautiful color to the images. 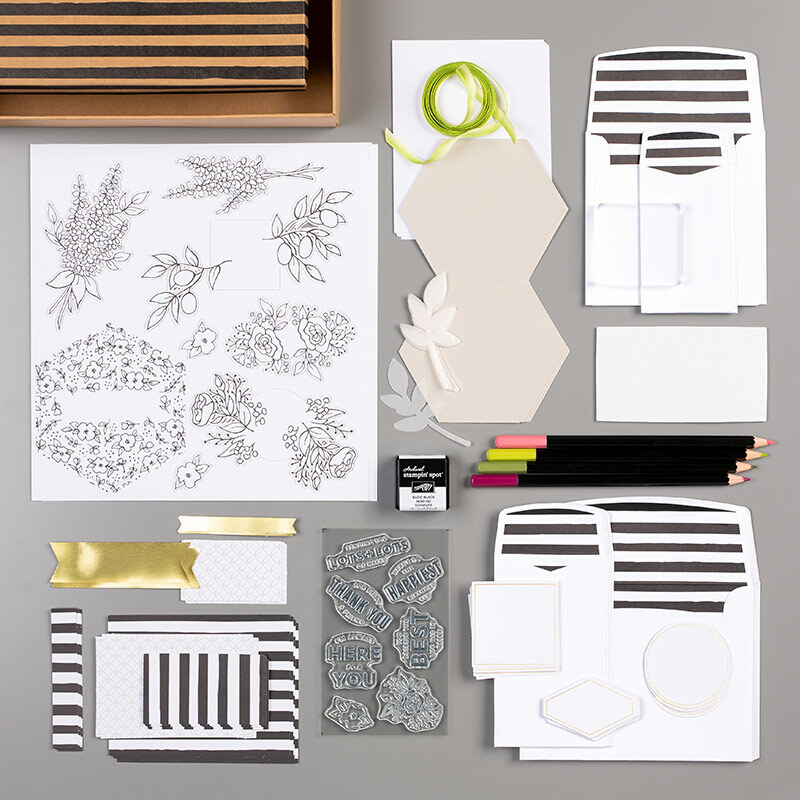 And look how cute the envelopes are - lined with the black and white stripe! The Soft Sayings Kit is another of my favorites: It is GORGEOUS! We did a quick pose before they headed home to their families! I know they'll be checking out this blog post today! Thanks ladies for coming and hope to see you again soon at The Bee Spot!